The Cacao Tree fruit is a huge berry called cacao pod, usually egg or melon-shaped, 5 to 12 inches long and 3 to 5 inches wide. The cacao pod contains 30 to 40 seeds. It takes 20 to 25 pods to get 2 pounds of cocoa. Once the tree reaches maturity, fruit pods will sprout from its trunk and branches. The golden-red to purple fruit pods turn brown at maturity, at which time they are split open and the insides scooped out. You are bidding on three (3) bare root seedlings with vigorous root systems 6-10 inches tall with 2-4 leaves born and grown in Hawaii. Ready to pot in a 1 gal container. 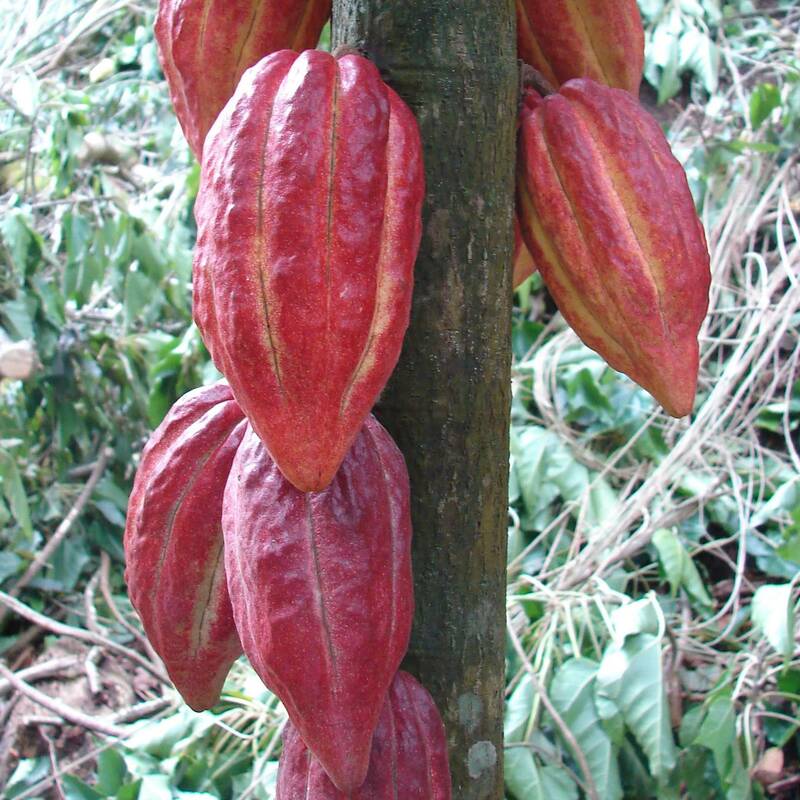 Unlike most fruit that grows on the branches, cacao pods grow directly on the trunk of the tree. 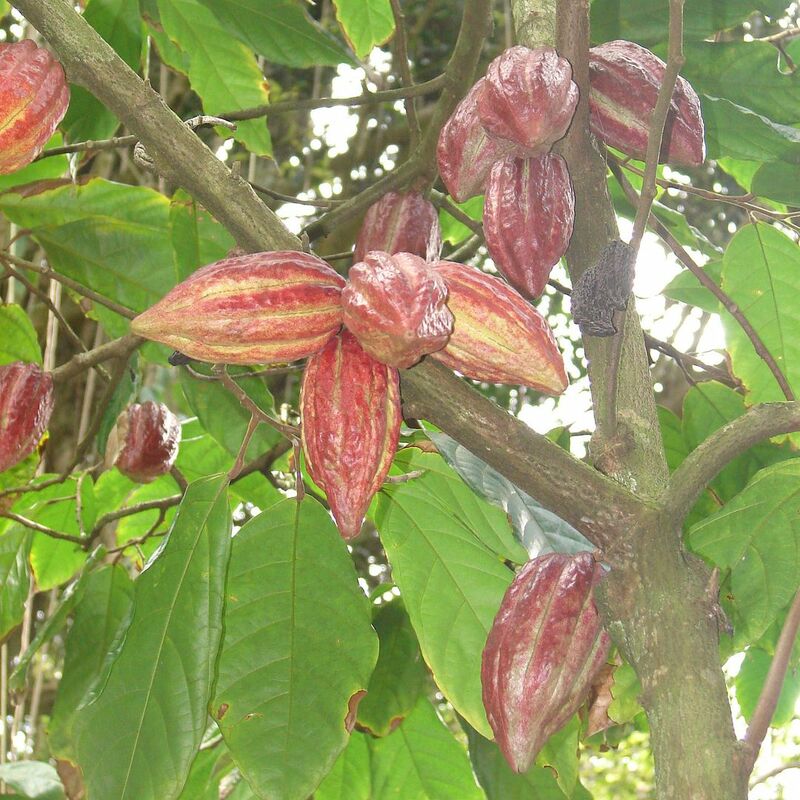 The cacao tree yields its first crop at 3-4 years old. They give fruit three to four times a year. The hard, coarse shell changes from green to yellow, and then to a reddish brown. Origin of this tropical understory tree in the family of the Sterculiaceae are the Amazon Headwaters from where it moved to Central America. 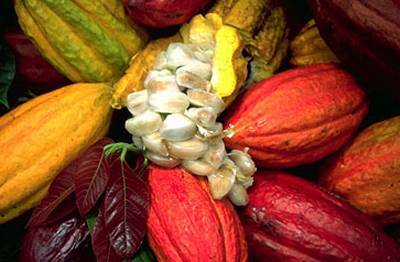 Cocoa cultivation began by Mayan tribes in Central America, ca. 1500 BC. Mayas and Aztec attributed divine origin to cocoa tree (brought by god Quetzacoatl). 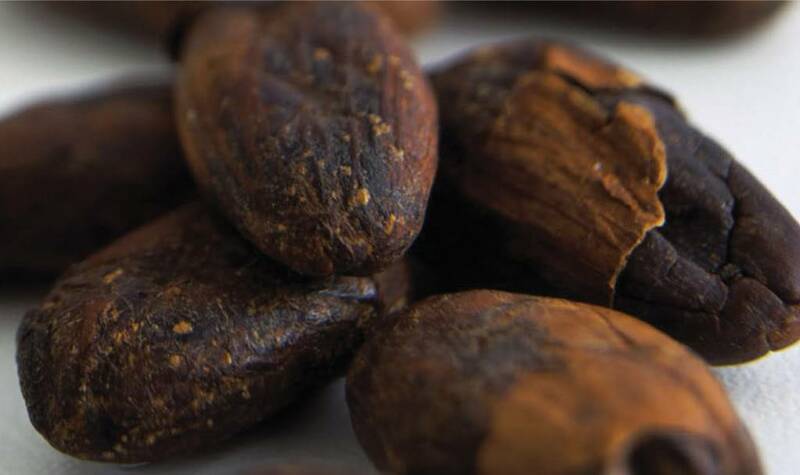 The precious cocoa beans were used as a currency. The sacred beverage called "chocolatl" was consumed from golden cups. The cacao tree can flourish only in the hottest regions of the world, but the young plants in particular need lots of shade. 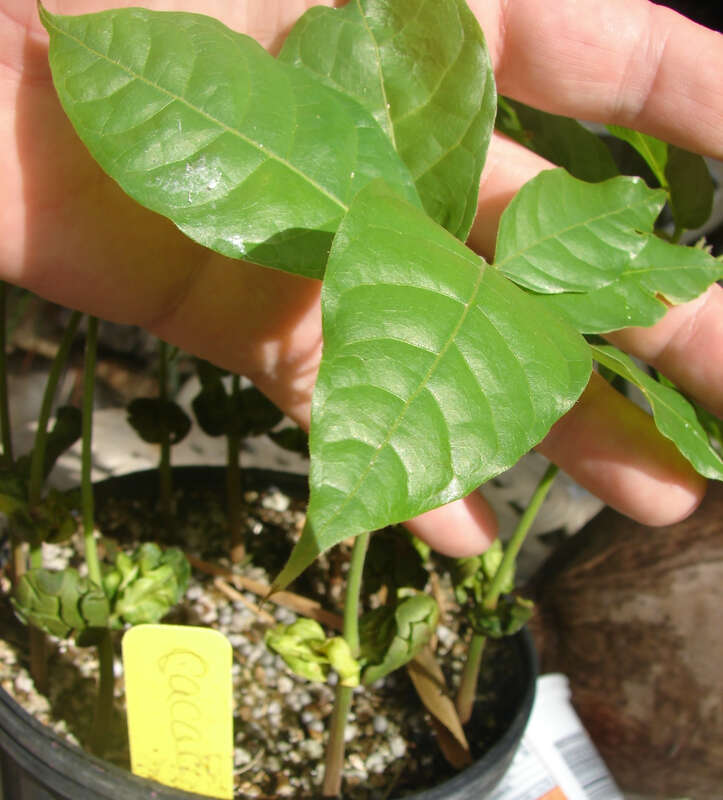 Delicate seedlings are easily sunburned, and so they must have direct cover from larger trees in the rainforest canopy. The cocoa trees develops under the shade of other large tropical forest trees. In farms they may be under or banana or coconut trees. They need 80+ inches of rain, and high humidity. Inside the fruit is a white sweet pulp and arranged in five rows are almond-shaped bitter cacao seeds. Each pod generally produces 20 to 40 cacao beans. These seeds are the ones used to make chocolate. 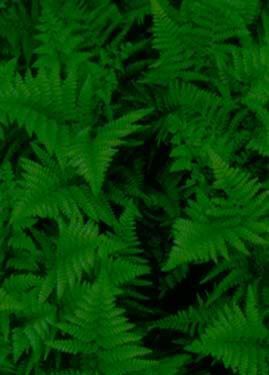 All live plants are shipped bare-root wrapped in moist sphagnum moss to ensure the plant’s healthy transit to you.